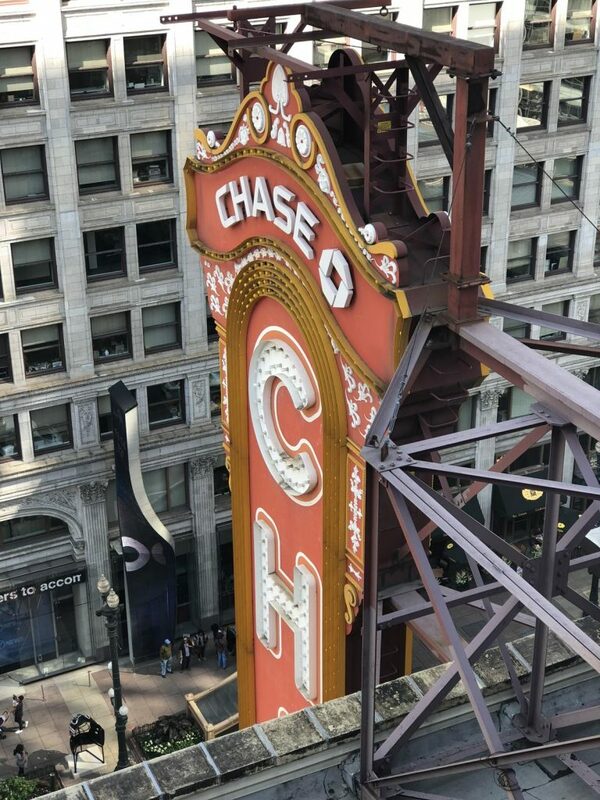 The Chicago Theater is as iconic to State St as State St is to downtown Chicago. 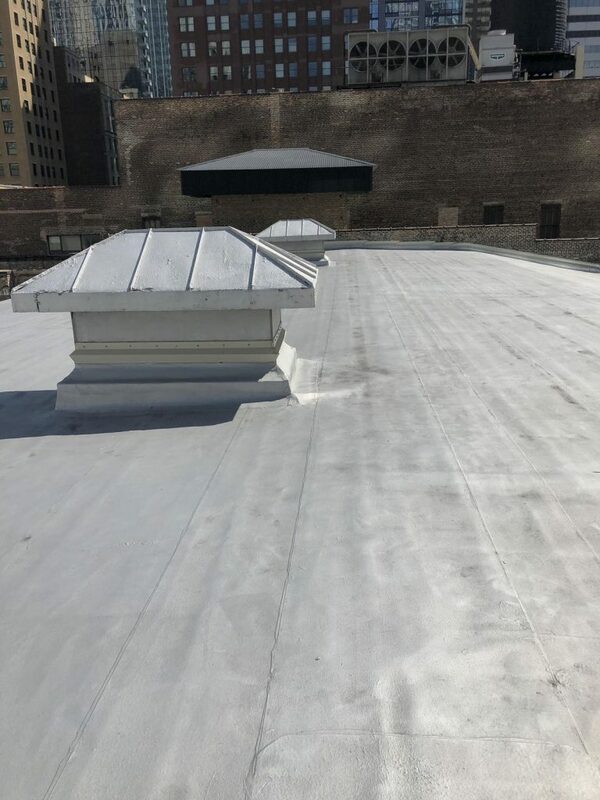 Jeff Suess was in the beginning stages of building his relationship with Marc Reality and was brought in to provide Raincoat Roofing’s unique ability to make any job seem effortless and easy, regardless of the challenges that were given. The Chicago Theater offered very limited working conditions. State St. has a very busy and pedestrian heavy “L” stop going through the North, with an adjacent high rise building directly to the East, and an alley way that needed 100% clearance at all at times to the South. 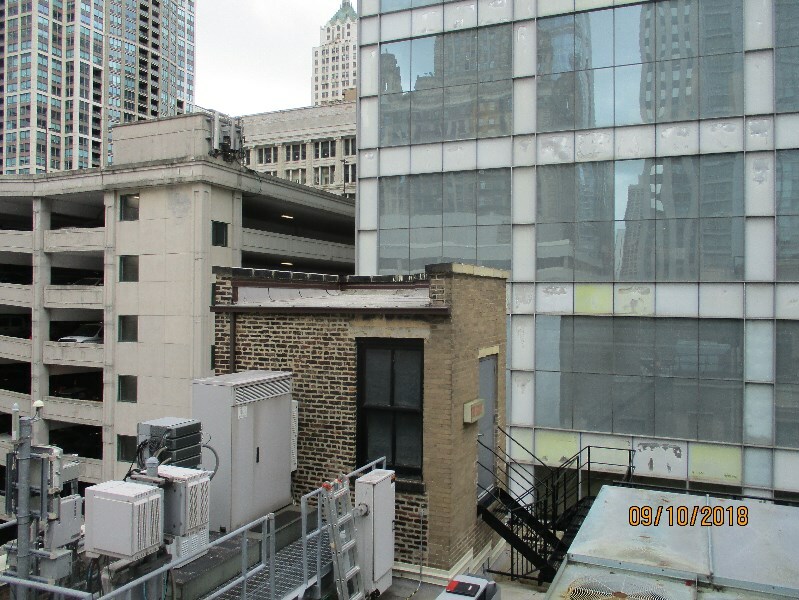 The roof of the Chicago Theater has several cell phone towers that were mounted to the roof that needed to be moved, while still being operational, in conjunction with masonry work that was being completed at the same time. Asbestos was found in the flashing and needed professional removal. 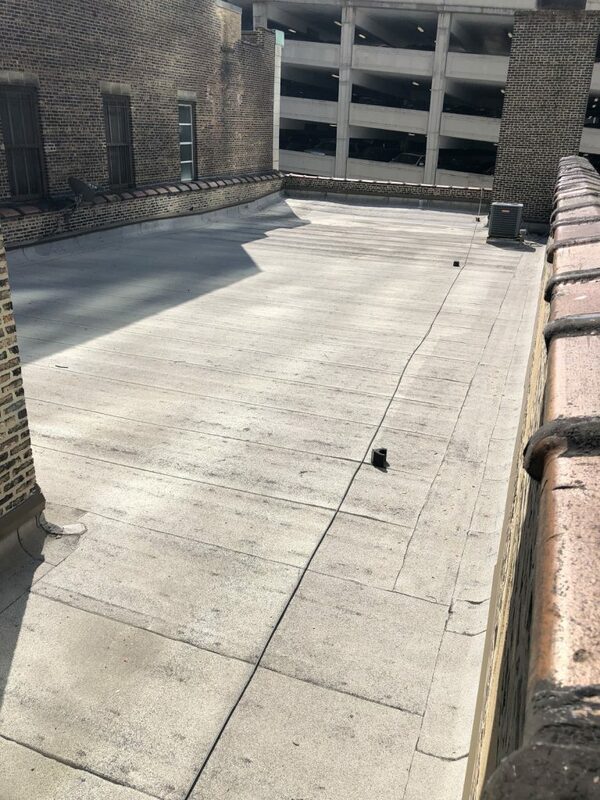 There was (4) separate roof areas that were completed in phases through this project, which was highlighted by our ability to coordinate efforts between multiple trades; including masonry, plumbing, and asbestos removal. Terracotta was taken apart and numbered piece by piece to be put back together at point of completion to bring the aesthetic appearance of the Theater back. 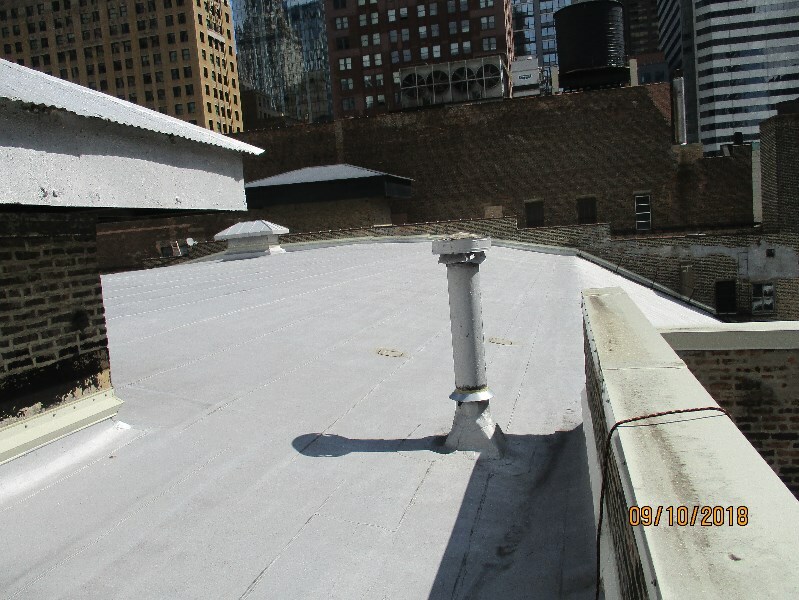 6 buildings with roughly 20,000 square feet of roofing.